Learn how to make a reusable tote bag that is reversible, sturdy, roomy and durable with this grocery bag pattern! This is the easiest method for making a tote bag! 2 strips of 26″ by 5″ thick fabric, cut on bias. You’ll use these for handles. 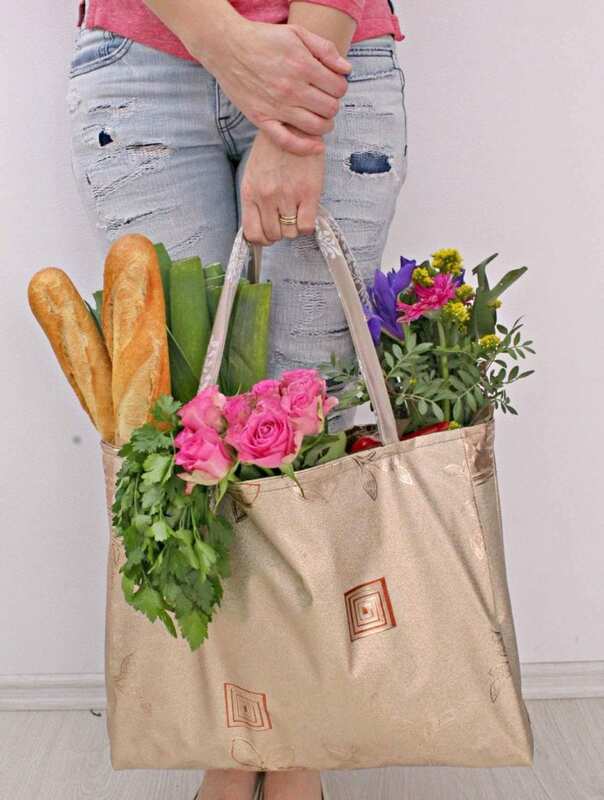 This Big Square Bag can also be used as a grocery bag, too! A great idea bit the instructions need a bit of clearing up for ppl who are beginners. The instructions may be clear to the author and designer but they need a little more detail.